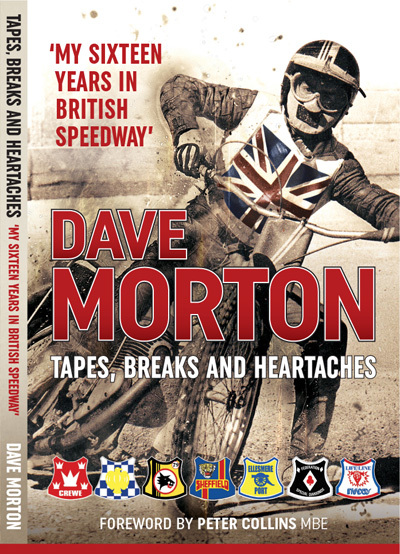 FROM the competition's low-key origins in the late 60s to its demise in 1993, this is the story of the FIM's third-ranked annual World Championship speedway event in a unique triple-disc set spanning six hours . . .
* Superb racing from Poland, Sweden, Denmark, Australia, Germany, Italy, Czech Republic, Yugoslavia and the UK. * Venues include Belle Vue (Hyde Road), Bradford, Rybnik, Katowice, Wroclaw, Leszno, Poznan, Bydgoszcz, Eskilstuna, Gothenburg, Vojens, Liverpool (Sydney, NSW), Rodenbach, Pocking, Abensberg, Landshut, Lonigo, Pardubice and Maribor. 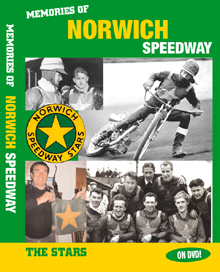 * Exclusive filmed interviews with some of the stars who made the headlines, including: BARRY BRIGGS, OLE OLSEN, PETER COLLINS, CHRIS MORTON, ERIC BOOCOCK, RAY WILSON, TERRY BETTS and SIMON CROSS. 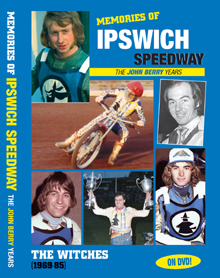 Contemporary interviews with: BARRY BRIGGS, BILLY SANDERS, BOBBY SCHWARTZ, DENNIS SIGALOS, OLE OLSEN, PETER COLLINS, KENNY CARTER, KELVIN TATUM, COLIN PRATT, HANS NIELSEN, ERIK GUNDERSEN, JAN O. PEDERSEN and TOMASZ GOLLOB (in Polish!). Audio interviews with: MALCOLM SIMMONS, DAVE JESSUP, KELVIN TATUM. * BOB ANDREWS, who partnered IVAN MAUGER to glory for New Zealand in the first official World Pairs Final in 1969, reveals why it took him 48 years to finally get his hands on the trophy. * Dramatic six-man races – hear what serious injury victim Simon Cross says about the controversial format that almost left him paralysed. * Rare 8mm colour cine footage of previously unseen semi-finals and finals. 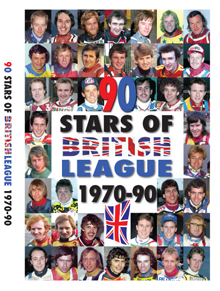 From England: PETER COLLINS, DAVE JESSUP, RAY WILSON, JOHN LOUIS, MALCOLM SIMMONS, MICHAEL LEE, CHRIS MORTON, KENNY CARTER, KELVIN TATUM, JEREMY DONCASTER, SIMON WIGG, SIMON CROSS, PAUL THORP, ANDY SMITH, GARY HAVELOCK, JOE SCREEN, MARTIN DUGARD. From New Zealand: IVAN MAUGER, BARRY BRIGGS, LARRY ROSS, MITCH SHIRRA, DAVID BARGH, ALAN RIVETT, MARK THORPE. From Sweden: ANDERS MICHANEK, SOREN SJOSTEN, TOMMY JANSSON, BERNT PERSSON, BENGT JANSSON, JAN ANDERSSON, PER JONSSON, TOMMY NILSSON, JIMMY NILSEN, HENRIK GUSTAFSSON, TONY RICKARDSSON. From Denmark: OLE OLSEN, FINN THOMSEN, HANS NIELSEN, ERIK GUNDERSEN, TOMMY KNUDSEN, JAN O. PEDERSEN. From Australia: PHIL CRUMP, JOHN BOULGER, BILLY SANDERS, GARY GUGLIELMI, STEVE REGELING, LEIGH ADAMS, TODD WILTSHIRE. From USA: BRUCE PENHALL, BOBBY SCHWARTZ, DENNIS SIGALOS, SHAWN MORAN, KELLY MORAN, SAM ERMOLENKO, RONNIE CORREY. From Scotland: GEORGE HUNTER, JIM McMILLAN. From Germany: EGON MULLER, GEORG GILGENREINER, KARL MAIER, KLAUS LAUSCH, GERD RISS. From Russia: VLADIMIR GORDEEV, GREGORI CHLINOVSKY. From Czech Republic: JAN HOLUB, JIRI STANCL, ALES DRYML, ROMAN MATOUSEK, TONI KASPER, BO BRHEL, ZDENEK TESAR. From Finland: KAI NIEMI, ARI KOPONEN, OLLI TYRVAINEN. From Norway: REIDAR EIDE, DAG LOVAAS, EINAR KYLLINGSTAD, ROY OTTO. From Italy: ARMANDO CASTAGNA, ARMANDO DAL CHIELE, VALENTINO FURLANETTO. From Bulgaria: NIKOLAI MANEV, ANGEL EFTIMOV. From Hungary: ZOLTAN ADORJAN, ANTAL KOCSO. SANDOR TIHANYI. Post: Send cheque/postal order (payable to Retro Speedway) for £16 to: Retro Speedway (History of the World Pairs DVD), 9 Nursery Close, Glossop, SK13 8PQ.